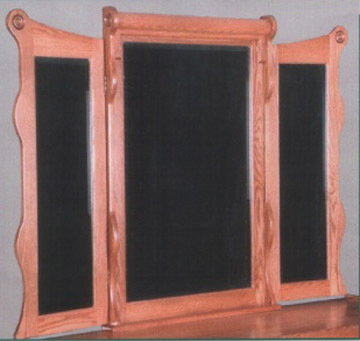 The optional tri-view mirror was designed by our Amish craftsmen to compliment our sleigh style dressers. It comes in two sizes, the 517, which will fit only the 65” and 75” dressers, and the 518, which only fits the 75” dresser. Both sizes are available in solid cherry as well.